This year the Association of Finnish Symphony Orchestras celebrates its fiftieth anniversary. In a country of five and a half million people that might not seem like a big deal, but the association currently has thirty member orchestras – a sign that classical music in the country is in rude health. They are helped considerably by the stunning venues in which their music making takes place. 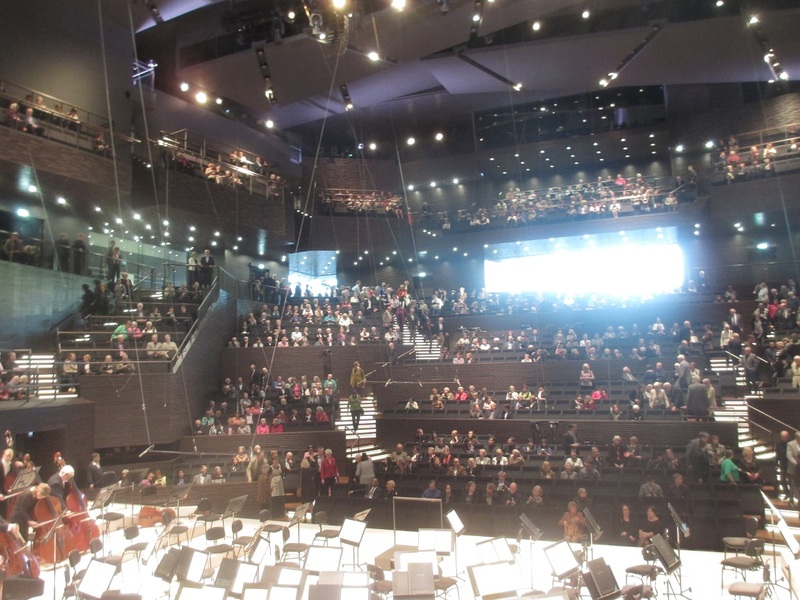 The Helsinki Music Centre, for instance, is a miracle of sliding partitions and glass panels allowing shafts of sunlight to stream in up to 30 seconds before a performance begins – as if reminding us that classical music need not be dim and fusty. 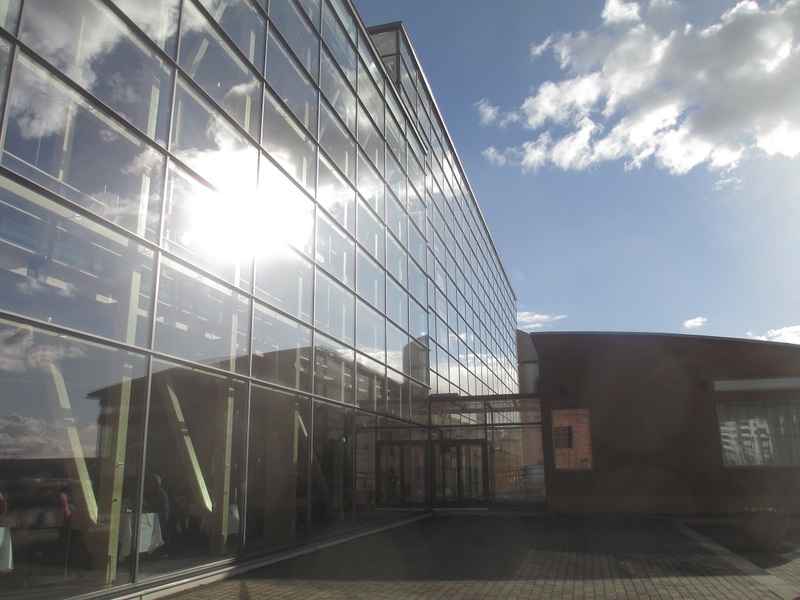 Lahti’s Sibelius Hall, situated on the edge of a lake, also enjoys a rarefied light, this time piercing the huge glass panels that frame the concourse, from which the audience are led to the spectacular wood panelled hall. The resurgence of the Lahti Symphony Orchestra in the last 25 years has seen it draw level with – and arguably pass – its compatriots in Helsinki, due largely to the remarkable leadership of Osmo Vänskä. It was here, in the Sibelius Hall, that the Association officially blew out the 50 candles on the cake on 24 April. To do so they were aided by Lahti’s composers in residence present (Kalevi Aho) and past (Jonas Kokkonen), and Okko Kamu, now the orchestra’s chief conductor. He conducted Aho’s short 1982 piece Hiljaisuus (Silence), an atmospheric piece of mood music that swells into an angry climax before subsiding. Aho himself was visible in the interval, drinking a Sibelius beer in a wonderful demonstration of unity! We then heard only the orchestra’s second performance of Beethoven’s Triple Concerto, which was the relative disappointment of the evening. In the best performances this piece can be a frothy extravagance but here it sounded short on rehearsal time and humour. Soloists Réka Szilvay (violin), Marko Ylönen (cello) and Heini Kärkkäinen (piano) seemed disjointed, tending to look at their music rather than each other, while the elegant orchestral accompaniment, nicely shaped by Kamu, often disappeared behind the bluster of the front three. This disappointment was quickly removed by some wonderful Sibelius to start the second half, a joyous Festivo from the suite Scènes Historiques Scene I. Then we heard a new commission, Arctic Light, from the orchestra’s principal bassoonist Harri Ahmas. This bold and descriptive piece effectively transferred the listener back outside to the lake, the shadows moving and the light dancing on the cold water. Perhaps unusually for a new piece of orchestral music the most effective music came at the end, a powerful resolution of quiet harmonic tension. Not a sound could be heard in the hall at the end. Finally the Kokkonen; an elusive but attractive piece with lovely orchestral colours, a tight structure and an elegiac mood putting it close to late Vaughan Williams. The elegant melodies were beautifully teased out from the texture by Kamu, while the clarity of the orchestral sound was consistently impressive. The Lahti Symphony Orchestra play the end of the Lemminkainen Suite under Okko Kamu at the Sibelius Festival 2013. The previous night Helsinki’s Music Centre played host to the Helsinki Philharmonic Orchestra and Eivind Gullberg Jansen, in a concert whose first half featured clarinettist and composer Jörg Widmann in both his disciplines. Firstly Con brio took its lead from Beethoven’s Fifth Symphony, with fragmented motifs fired between sections of the orchestra like light sabres. This was a clever piece, but not for cleverness’ sake, Widmann communicating by striking orchestration, powerful dynamic variations and a number of quirks from the timpani. The contrast between this and Mozart’s Clarinet Concerto could hardly have been greater, though Widmann – now with clarinet in hand – negotiated the switch with ease. In the slow movement he was especially sensitive, and although he did not appear to be playing with a basset clarinet – which reaches lower notes in the concerto – the elegance and grace of the performance were really attractive. Finally a Russian powerhouse, Rachmaninov’s Second Symphony, showed the versatility of the Helsinki Philharmonic. There was a little in reserve here compared to Russian interpretations, but Jansen clearly loves the piece and knew what he wanted to do with it. A lovely clarinet solo enabled the famous Adagio to hit the emotional heights, but the second and fourth movements didn’t fully harness the power at Rachmaninov’s disposal. This entry was posted in In concert, Orchestral and tagged Eivind Gullberg Jansen, Helsinki Philharmonic Orchestra, Jörg Widmann, Lahti Symphony Orchestra, Okko Kamu by arcanafm. Bookmark the permalink.